Thailand has been making a series of efforts in driving the economy through innovation. 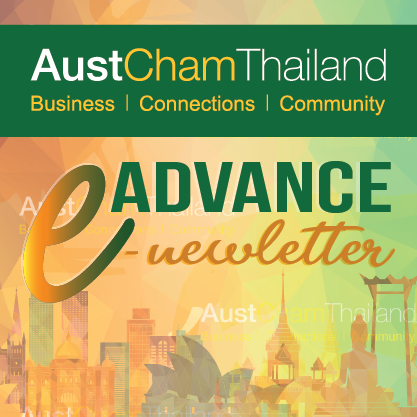 The Thai Government has taken another step to attract talents and technologies with a view to further developing its targeted industries or the so called S-Curve industries. The SMART Visa program has then been designed to enhance Thailand’s attractiveness in drawing science and technology experts, senior executives, investors and startups. The program is due to be launched on February 1, 2018. The SMART Visa is a new type of visa designed to attract highly skilled manpower and investors to help accelerate the development of the country’s targeted industries. SMART Visa is offered to foreign experts, executives, entrepreneurs and investors who wish to enter into the Kingdom of Thailand to work or to invest in the following “10 S-Curve” industries or the country’s targeted industries. Both foreigners residing outside Thailand and foreigners already residing in Thailand can also apply for the change of visa type to SMART visa if qualified. As the first step, applicants must obtain a qualification endorsement letter from the SMART Visa Unit (under Thailand Board of Investment) located at the One-Stop Center for Visas and Work Permits. Qualification endorsement applications can be lodged at the One-Stop Center for Visas and Work Permits or at the Thai Embassies or Consulates. The screening will also involve the technical endorsement by the designated agencies. For example, a qualification of high expertise in science and technology must be verified and endorsed by the Ministry of Science and Technology. The list of certifications/endorsements required and the designated agencies is detailed below. After these technical endorsements have been obtained, the SMART Visa unit (under Thailand Board of Investment) will then proceed with screening the other requirements before issuing a letter of qualification endorsement which the applicant will use in applying for SMART visa at either the Thai Embassies or Consulates (in case of residing outside Thailand) or the Immigration Bureau at the One-Stop Center for Visas and Work Permits. The foreigners can submit an application for qualification endorsement for SMART Visas at One Stop Service Center for Visa and Work Permit (OSS) located at Chamchuri Square Building (in Bangkok). Alternatively, they can lodge their documents at the Royal Thai Embassies /The Royal Thai Consulate Generals. Within 3 working days after having received complete documents, OSS will coordinate with related agencies to verify and certify the qualifications of the applicants. The agencies in 2 will notify the OSS of the results of the evaluation/examination within 20 working days. 4. OSS (BOI) will notify the applicant, the Immigration, the Ministry of Foreign Affairs and the relevant agencies of the result of qualification endorsement application within 7 working days. The total processing time frame is 30 working days from the date of OSS’s receipt of complete documents. Holders of non-immigrant visa must apply for the qualification endorsement at least 90 days before the expiry of the non-immigrant visa. The qualified applicant can then proceed with applying for smart visa at the Thai Embassies or Consulates. The endorsement letter issued by the Office of the Board of Investment will be valid for 60 days. If the applicant resides in Thailand, he or she can file for the smart visa at the Immigration at the One-Stop Center for Visas and Work Permits. Holders of SMART visa must apply for a renewal of qualification endorsement at least 90 days before its expiry. SMART Visa holders must submit documents stating their current status to the SMART Visa Unit@One-Stop Center for Visas and Work Permits on a yearly basis (after receiving permission to stay in Thailand). Download SMART Visa document here. Previous Thanks to MQDC for making the Great Aussie Bash a success!